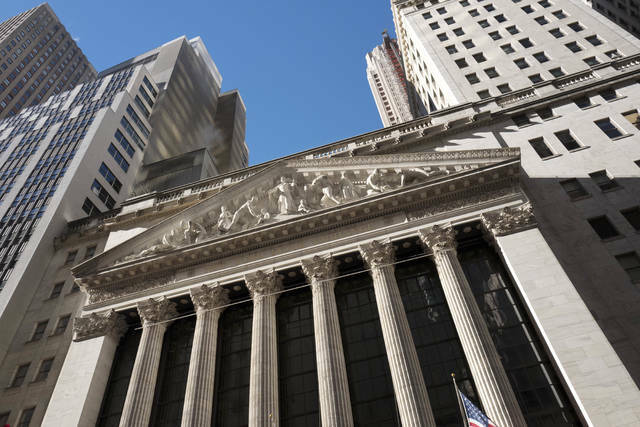 NEW YORK (AP) — The stock market’s fantastic start to 2018 stalled on Wednesday after real-estate companies and other dividend payers sank on concerns about rising interest rates. The Standard & Poor’s 500 index fell 3.06 points, or 0.1 percent, to 2,748.23 after being down as much as 0.6 percent in the morning. The loss snapped the index’s longest winning streak to start a year since 2010. That’s in part because he expects interest rates to climb as the government’s need to borrow rises and as the Federal Reserve increases rates and pulls back from bond purchases it made to aid the economy. Low interest rates have been one of the main propellants for the stock market’s calm rise to records. They make borrowing easier for companies and people, which greases the skids for economic growth. Low rates also make bonds less attractive, which pushes investors into stocks. The yield on the 10-year Treasury went as high as 2.59 percent in the morning before falling back to 2.55 percent, the same level it was at late Tuesday. That’s up from 2.40 percent at the start of the year. A report from Bloomberg News said that China is considering a slowdown or halt to its purchases of Treasurys, which helped push rates higher. Investors are also speculating about whether Japan’s central bank will slow its bond purchases to keep rates low. In overseas stock markets, Japan’s Nikkei 225 index fell 0.3 percent, South Korea’s Kospi lost 0.4 percent and the Hang Seng in Hong Kong added 0.2 percent. France’s CAC 40 fell 0.3 percent, the FTSE 100 in London added 0.2 percent and Germany’s DAX lost 0.8 percent.